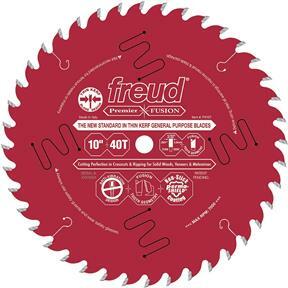 Freud engineers have discovered the ultimate combination of fused tooth grind geometry, blade body rigidity, precise tensioning, a special carbide blend and superior carbide brazing, non-stick Perma-SHIELD® coating and high performance anti-vibration – all working together in concert to provide the ultimate cut. One blade does it all. 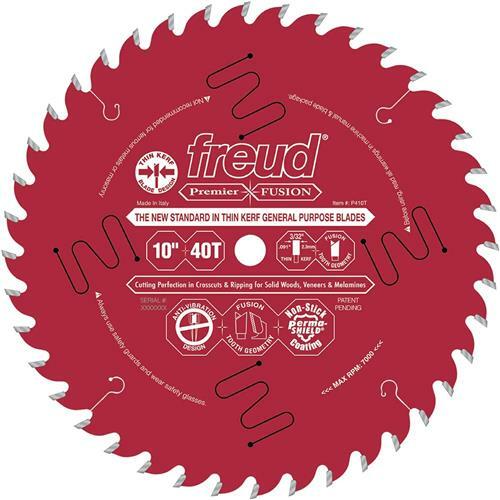 Whether you're ripping or crosscutting, a Premier Fusion blade will tackle any project.